Nonvolatile Program Memory Size: 512K bytes. Used: 193412 bytes (37%). Free: 330876 bytes (63%). Try getting a cleaner one and save it, in order to share it here. 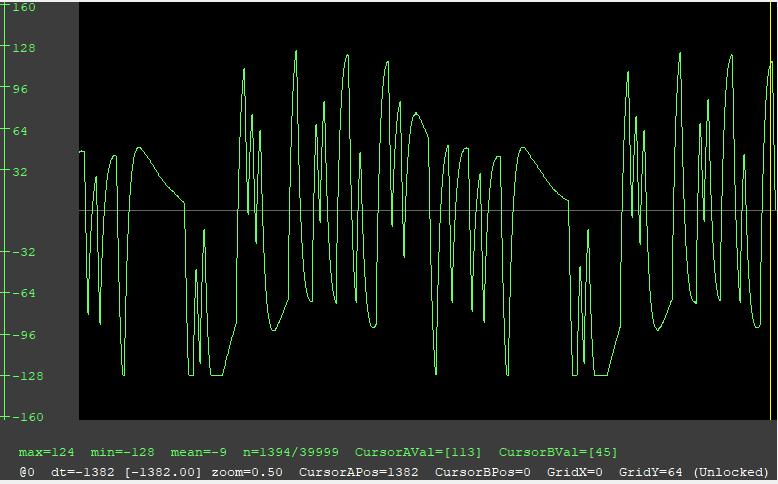 That data trace is 100% repeatable minus the clipping from over-coupling with my new antenna. Which commands did you use to get this plot?